Tokai Kisen is a leading ferry operator that connects a variety of ports spread across Tokyo, Kanagawa, Chiba and Shizuoka Prefecture with Izu Islands providing a number of crossings all year round. Tokai Kisen boasts the history of over 120 years since the inception in 1889. 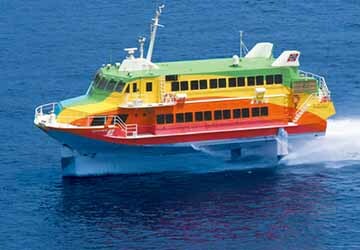 Their fleet comprises of two large passenger ships Tachibana-Maru and Salvia-Maru as well as four colourful jet ferries – Seven Island Ai, Seven Island Niji, Seven Island Tomo and Seven Island Tairyo. 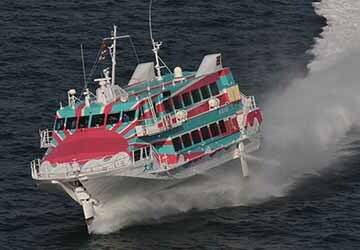 With their jet ferries, you can travel mainly from Takeshiba Terminal in Tokyo, the port of Kurihama in Kanagawa and the port of Atami in Shizuoka to Izu Oshima, Toshima, Nijima, Sihikinejima and Kozushima of Izu Islands. The high speed crossings between Tokyo and Izu Oshima take about 1 hour and 45 minutes while the trip between Atami and Izu Oshima is only 45 minutes. 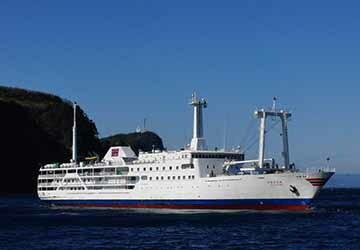 Tokai Kisen also provides multiple sailings between Izu Islands. The 118 metre Tachibana-Maru has been in service since June 2014 and can carry up to 1,000 passengers while smaller Salvia Maru was built in December 1992 with capacity of 816 passengers. On board, you’ll find a whole host of amenities such as a restaurant, a smoking room, a shower room, vending machines and public toilets. There’s also a large choice of on-board cabin accommodation on offer to suit all budgets which ensures you arrive fresh at your destination. 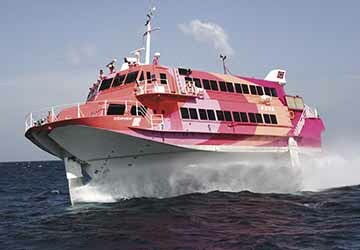 Tachibana-Maru usually departs from Takeshiba Terminal in Tokyo to Miyakejima, Mikurajima and Hachijojima overnight. The crossings take from 6 hours 30 minutes up to 10 hours 20 minutes, depending on the route. 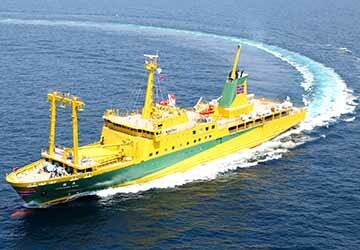 The other vessel Salvia-Maru sails from Tokyo and Yokohama to nearer Izu Oshima, Toshima, Niijima, Kozushima also overnight. 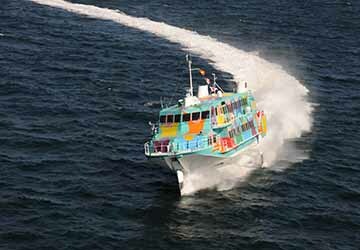 If you’d like to travel during the day, jet ferries are available for your convenience. Izu Islands are a group of islands under the administration of Tokyo and lie on the Pacific Ocean. Unlike the Tokyo city, those islands are filled with natural beauty and include many unspoilt beaches, active volcanoes, abundance of wildlife such as dolphins and whales. Also, the islands have some of the best stargazing and surfing spots in Japan. Directferries.co.uk provides an impartial ferry comparison service allowing you to view numerous ferry company timetables and fares in one quick and easy search. Compare Tokai Kisen timetables and prices now with all alternative ferry operators before booking your ferry ticket.